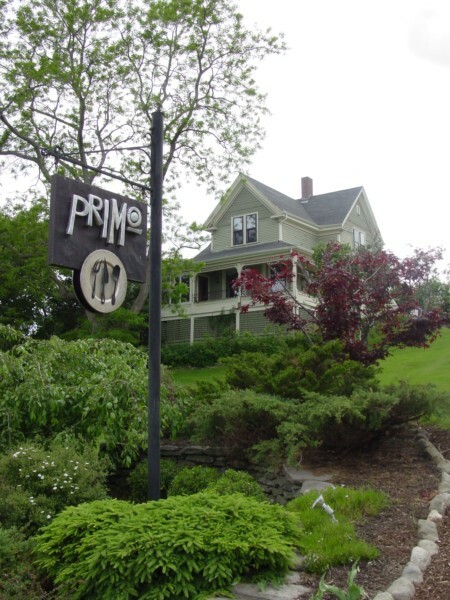 At "Primo" - a world-class restaurant inside a restored Victorian home in coastal Maine - fresh is the vital relationship between the kitchen and the gardens that surround it. It is the morning communication that occurs between the chef and the head grower, coordinating the perfect harvest to fit that nights menu, and the perfect menu to fit that days harvest. Co-owned by Executive Chef Melissa Kelly and Baker/Pastry Chef Price and located in mid-coast Maine. "Darn, a little too far away to travel for dinner - about 3000 miles - but if I lived anywhere this restaurant, I know it would be a favorite!" 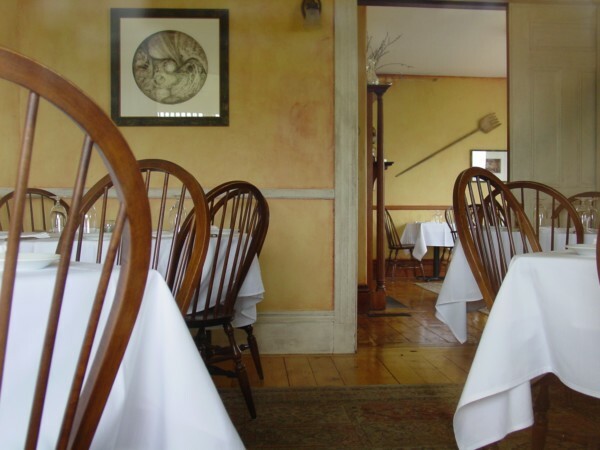 After working at several restaurants, including Alice Waters' Chez Panisse and The Old Chatham Sheepherding Company (where she won the James Beard award in 1999), she opened Primo. "This amazing chef also makes use of every part of the animal (oink to tail) that they serve on the menu. 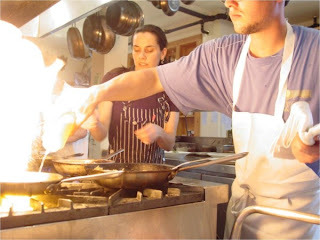 I hope to see more chefs like this in the future and more restaurants that subscribe to these practices!!" One and a half of the four acres on the property make up the restaurant’s kitchen gardens. Farming practices at Primo make use of a variety of growing methods including organic, biodynamic and biological – nutritional agriculture. The main production gardens are up the hill behind the restaurant. With more than thirty types of heirloom tomatoes are grown in the main gardens, along with an exciting variety of vegetables and fruits: purple cauliflower, fava beans, cardoons, celeriac, white alpine strawberries, and squash blossoms are just a few. Root crops, such as carrots, turnips, and beets, are replanted in these beds throughout the seasons, offering a continuous supply of tender, baby roots at peak quality. 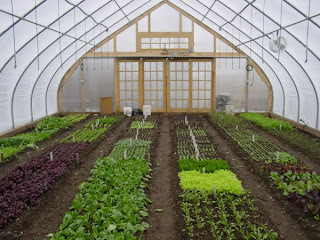 Lettuces and salad greens are also planted in the main gardens this way, with plant varieties changing seasonally, encouraging the seasonal diversity that keeps the chef and cooks inspired. The gardens immediately surrounding the restaurant are host to edible flowers, herbs, and additional varieties of vegetables and fruits. These beds are designed to be as functional as they are beautiful - a place where the Primo cooks can slip out of the kitchen to cut the herbs or garnish that they need. Teas and tisanes are created out of a special tea section of these gardens. Raspberries, strawberries, rhubarb, and husk cherries are carefully selected from them to grace desserts. All of the Primo gardens provide for the restaurant in other ways, too. Beautiful old apple trees can be found throughout the property. 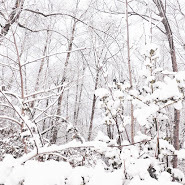 In the fall, the apples they drop are carted to a local press, where they are made into cider. Unique seasonal decorations in the restaurant - bundled corn stalks, decorative pots of rye grass, and distinctive tree branches all come from the property itself, as do the dizzying array of cut flowers that they compliment. 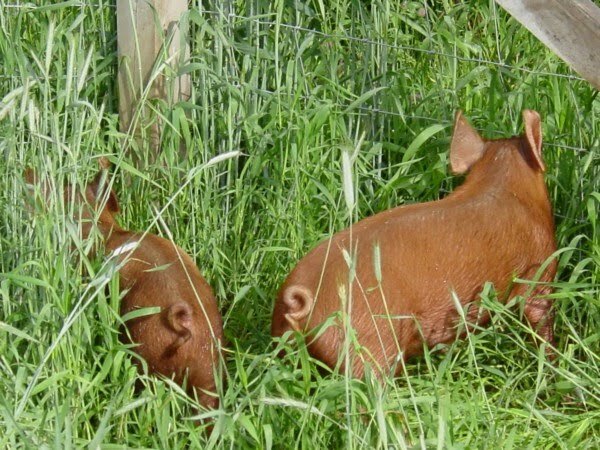 The true stars of the Primo garden, however, are not plants at all: they’re the pigs! Each year, the restaurant raises Tamworth pigs, a heritage breed from England. 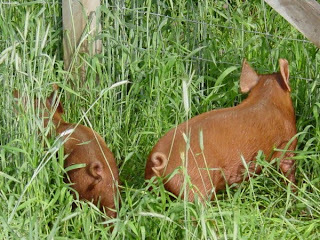 Tamworth pigs are a beautiful copper color and are renowned for their good temperament. 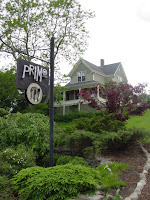 The Primo Tamworths dine on restaurant scraps and a cultivated cover crop of pea tendrils and rye grass throughout the summer and early fall, recycling Primo’s leftovers into delicious, healthy pork. In late fall, the pigs provide the restaurant with a delicious variety of Italian cured meats; House made prosciutto, sopressata, guanciale, salumi, pancetta and lardo are ready by winter and are served on antipasti, pizzas from the wood oven, and other creations. Just up the hill are the Italian honeybees. The bees are quiet workers, busy pollinating the diversely planted four acres. They produce up to six gallons of honey, harvested each fall, which will sweeten desserts and teas and compliment Primo cheese platters. Wow, I'm totally impressed and so captivated. 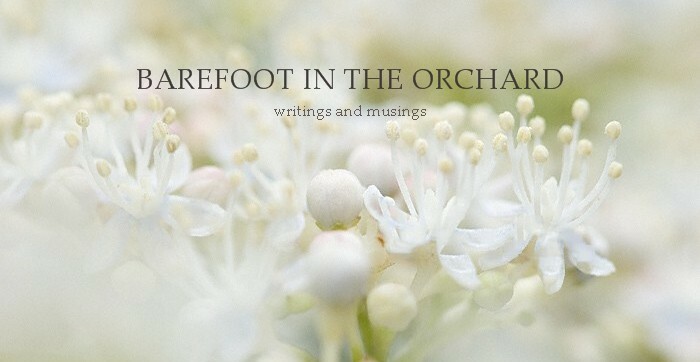 I love to hear that they grow what they use in the kitchen and that they're not wasteful! Who'd of thunk! Seriously, that's great!